Future was scheduled to headline Sunday night’s Hot 97 Summer Jam. While he was present at MetLife Stadium in New Jersey on the night of the festival, he did not ultimately perform there, when the show went on after weather delays. Future addressed the apparent cancellation of his set Sunday night on Twitter. “Radio station told me to leave...major pump fake,” he wrote. In a press release Monday morning, Hot 97 wrote: "We share your disappointment that due to the delayed start, as well as a curfew and an end deadline for the last train out of Secaucus, that we were unable to get everyone on stage tonight we had hoped would perform." Previously, on Saturday, Future’s set at Philadelphia’s Roots Picnic had been cut short after sound issues. On Monday afternoon, Future’s manager Anthony Saleh released a statement about both performances. 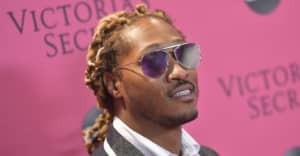 Future was asked to leave Summer Jam after a fight on the floor prompted a show delay, Saleh said. Future was “crushed,” he continued, but looks forward to connecting with fans on the upcoming Summer Sixteen tour with Drake, which kicks off July 20 in Texas.